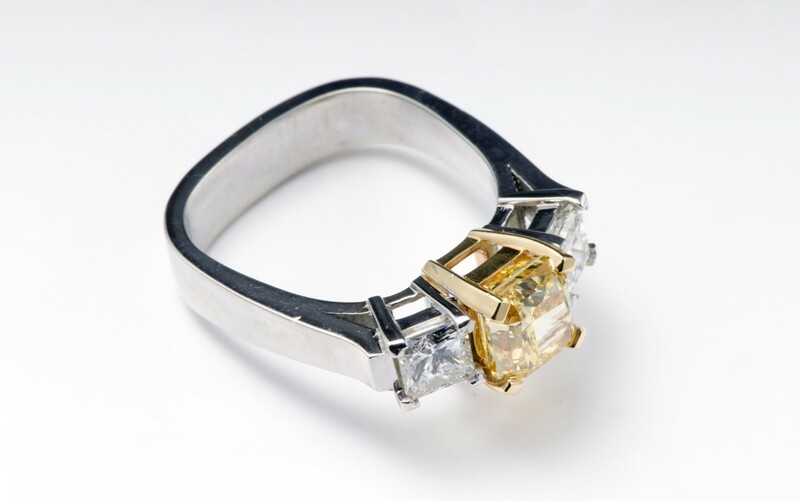 Our Couture Collection, An extremely rare natural 2.04ct Vivid Fancy Yellow, VVS2 Clarity, Radiant Cut GIA Certified No.51598702 accented with two scintillating Princess cut diamonds crafted in 18K Yellow & 19K White Gold, a timeless elegant ring. SKU: 100-00131 Categories: Natural Colour Diamond Rings, Rings. 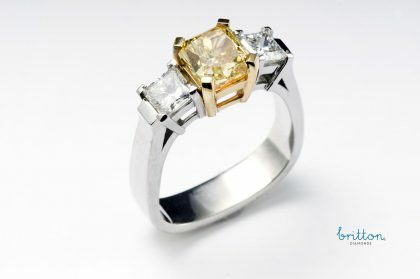 Tag: Natural Fancy Yellow Diamond Ring: 3 Stone Ring.